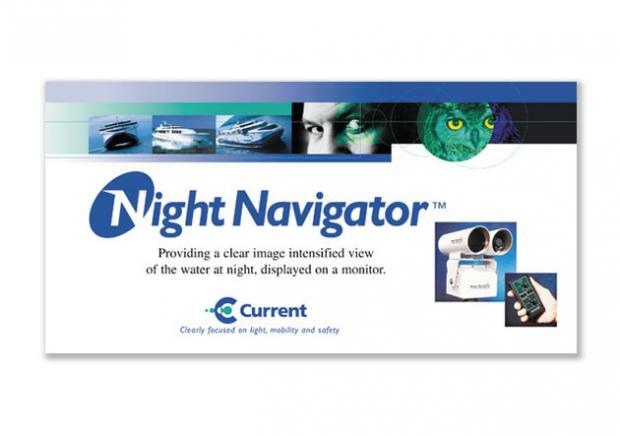 The Current Sales Corporation manufactures the Night Navigator™ system for marine collision avoidance which provides a clear view of the water at night. The company also sells high powered Xenon searchlights and stabilized night navigation systems. 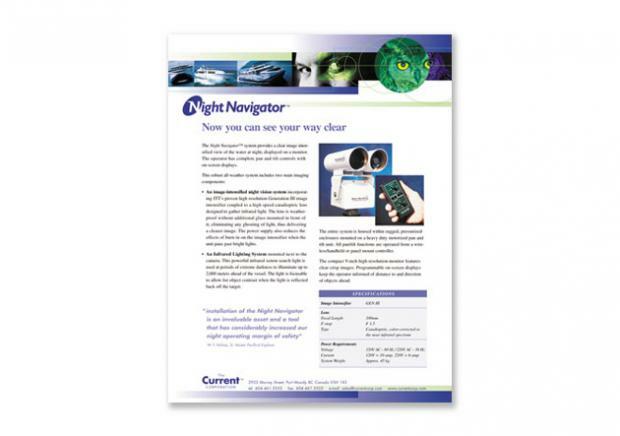 Night Navigator systems are used worldwide, primarily on high-speed ferries, Coast Guard vessels and other marine vessels including Luxury Mega Yachts, high speed and commercial vessels. The challenge was to update the company’s old homespun image with a new look. NextPhase worked closely with Current’s president and VP of sales to best to position the company in the marine marketplace. 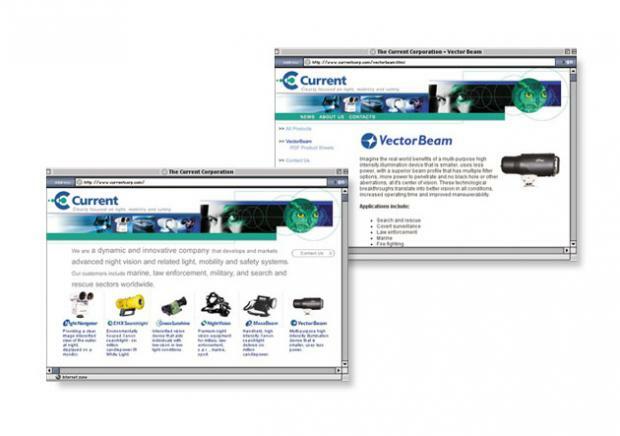 As better vision was the key element in all products, an image centered around ‘sight and clear vision’ was produced. The items included a new brand and corporate identity, product logos, sales literature, magazine ads and a website. The sales message consistently focused on product benefits.